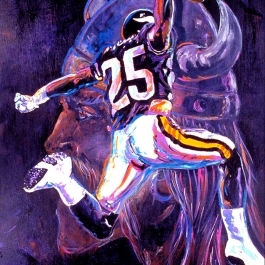 The Bus The Pittsburgh Steelers great running back, #36, Jerome Bettis, earned his nickname “The Bus” by running over defenders on his way to becoming the sixth leading career rusher in NFL history. 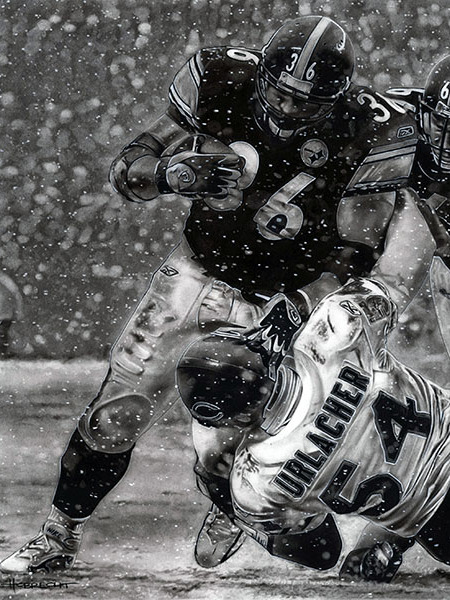 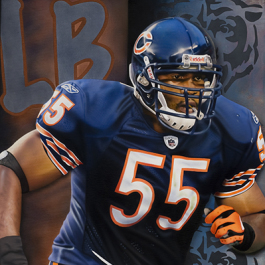 In this NFL painting two NFL icons collide, with The Bus snow plowing #54, Brian Urlacher, the four time first team All-Pro linebacker for the Chicago Bears. 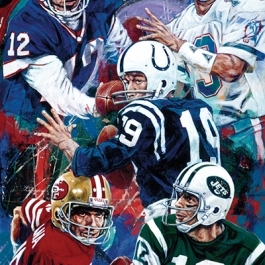 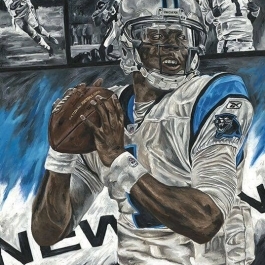 This piece of NFL art is a must for all lovers of Fantasy Football and it is a great addition to any man cave or sports art collector’s favorite piece of NFL memorabilia.